Rindik is a Balinese traditional bamboo instrument and flute. Rindik is usually played to dance to or for welcoming guests. 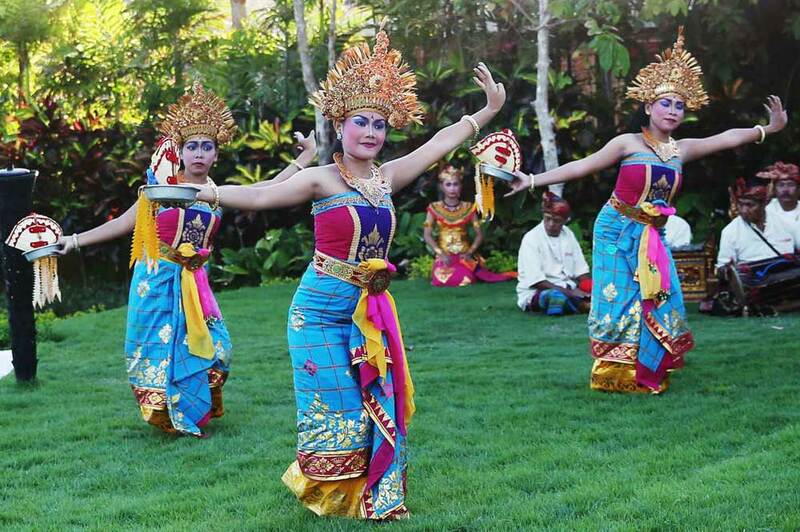 It is a great choice if you would like to have a Bali atmosphere at your wedding ceremony. 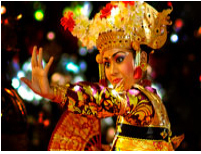 The "Legong" dance is the quintessential Balinese dance in all its glory. A classical dance that springs from age-old temple dances performed to appease the gods, the "Legong" is the epitome of grace and beauty. It is characterized by highly stylized slow movements. Its delicacy is heightened by the fact that it is performed by richly costumed young dancers, sometimes only four years old and many of whom retire at the tender age of 18. Kecak is a lively and energetic traditional Balinese dance performed by a circle of more than 50 men wearing traditional checked sarongs. This musical drama depicts a battle from the Ramayana and is also known as the Ramayana Monkey Chant. 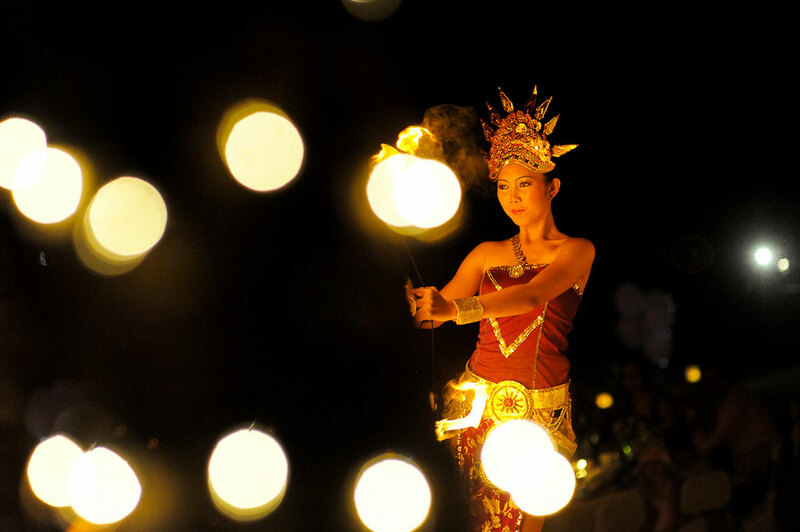 Lighten up your reception with this rare art of fire dancing. From fire stick, fire fans to fire hoops, the dancers will entertain you with a combination of beauty, art, music and fire manipulation skills.